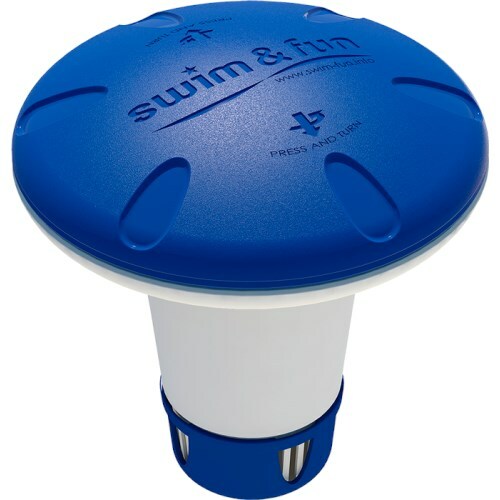 A convenient dispenser for metering out pool chemicals such as slowly dissolving chlorine tabs. Tablets are placed in the floating dispenser and the dosage rate can be adjusted to suit your needs. To determine if it dispenses the appropriate amount, this can be verified using test strips.